Misconception # 1: Technology replaces the teacher. Blended Learning is meant to be just that; blended. The online part of learning is heavily supplemented by the experience and intellect of the teacher. Without the teacher, the technology would be useless. 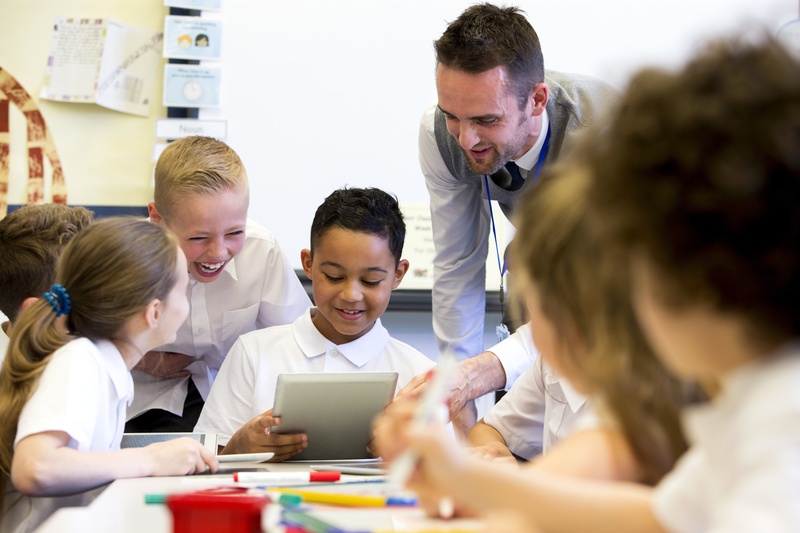 The technology enhances the capabilities of the teachers, making it easier for students to tackle “low-intensity” topics themselves and save the more intense, meaningful lessons for in-person meetings. Misconception # 2: Students aren’t engaged in blended classes. On the contrary, students are learning the pre-requisite class knowledge on their own terms, at their own pace; while they learn invaluable and practical knowledge and application from their teacher. Students are more engaged during class because they better understand and care about what they are learning. It gives students more responsibility and holds them accountable for their participation in class. Misconception # 3: Teachers don’t get to know their students. With blended learning, physical meetings do still occur and they are bolstered by the ongoing learning happening outside of the classroom. For people to say that teachers don’t get to know their students is in most cases not true. Teachers have an opportunity with every meeting to form a deeper connection with their students because they spend less time walking them through basics ideas and more time diving into complex concepts. Additionally, forums and discussion groups are easily maintained virtually as well, and teachers are able to monitor and track student participation. Online learning or any variation of that is typically portrayed as an “all-in-one” solution, which can be negatively perceived. However, with a blended learning approach, teachers are able to customize their class to be exactly as they envisioned. They can incorporate content chunks from almost anywhere, including self-authored materials, to make their class perfectly aligned with their objectives and vision. Misconception # 5: Response time is longer, there is a lag. Since blended classes allow the student to review their online class from anywhere, response time actually becomes shorter. The modern student has grown up surrounded by technology and they are constantly communicating via social media channels. If their classes enable the same sort of communication, then communication channels would be opened continuously rather than just at in person meetings. While anything new can be scary at first, the shift to technology should be embraced not feared. Teachers can share knowledge better than ever with the supplement of online learning. Students can learn to new heights and acquire technology skills necessary for college, and eventually, their careers. Sources: “5 Misconceptions of Blended and Online Learning,” by Teach on the Edge; teachhub.com.